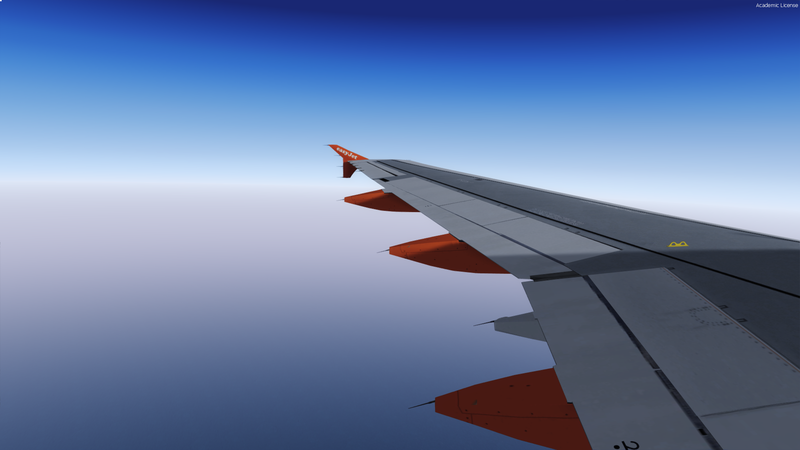 I recently purchased the FSL A320 for P3Dv4, and have barely put it down all weekend, a great product, if a little pricey, but if you're looking for the most realistic Airbus sim, look no further. 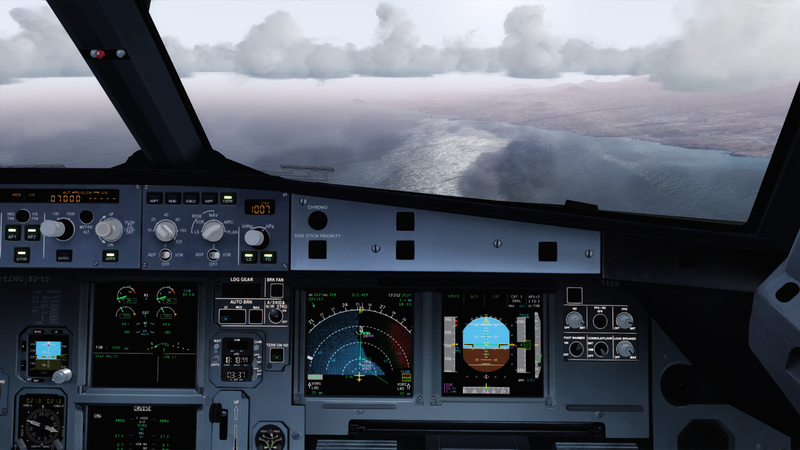 Anyway, I flew to Tenerife last night from Gatwick, one of many flights completed in the new A320 this weekend! 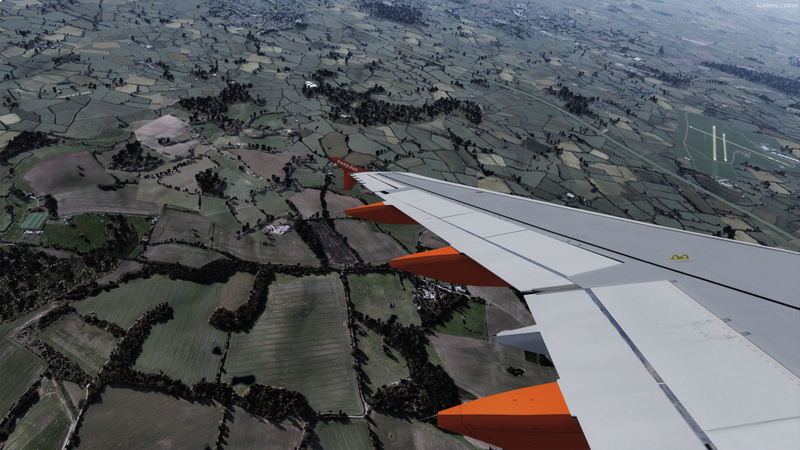 On a rare approach to Rwy 25! 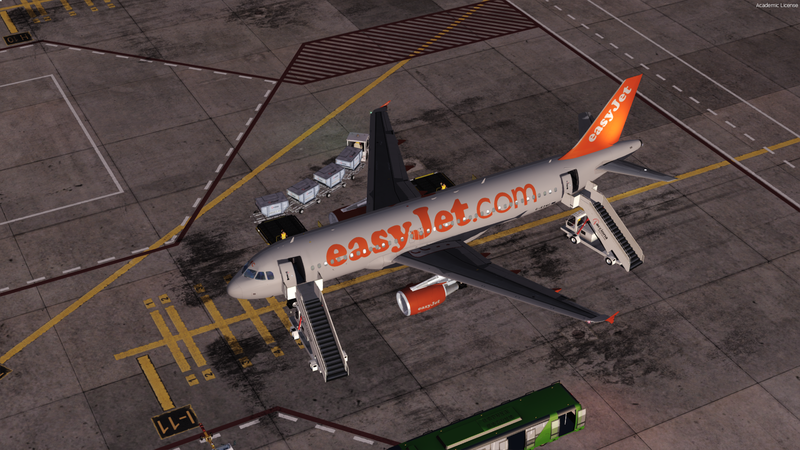 And a nightstop, she's somebody elses problem now! A great selection of shots, thanks for showing them. 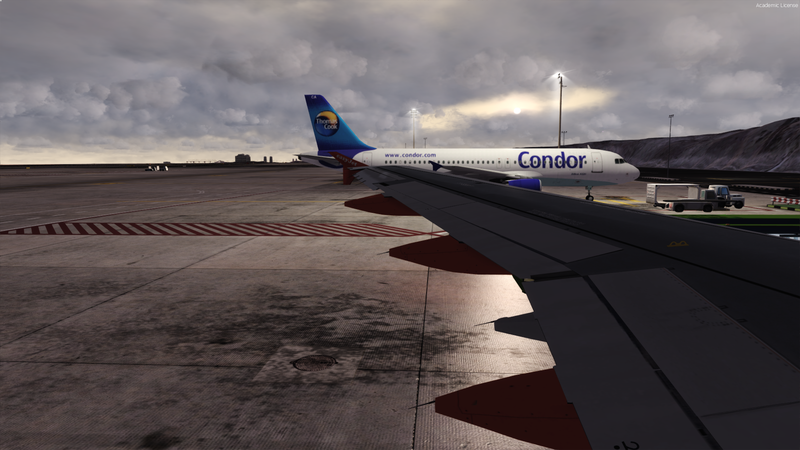 I have had this plane for a month or two and it's all I fly at the moment. I love it. Great set of shots Chris, must be weird flying a joystick with the left hand though. Lefteris has always been a rock in the FS community, I would like to give him the benefit of the doubt to say in trying to protect his intellectual property he took totally the wrong course of action. He is eating humble pie big time now. It strikes me if blood has been struck by the wolves then everyone is baying for his downfall / compensation in their own self interest. Give him time to realise the error of his ways and put things right with the community. Anyway, your shots are superb Chris, a nice bit of Easy flying! I tend to agree with Joe on this, as an owner of this software I'm not put off - not yet at any rate. 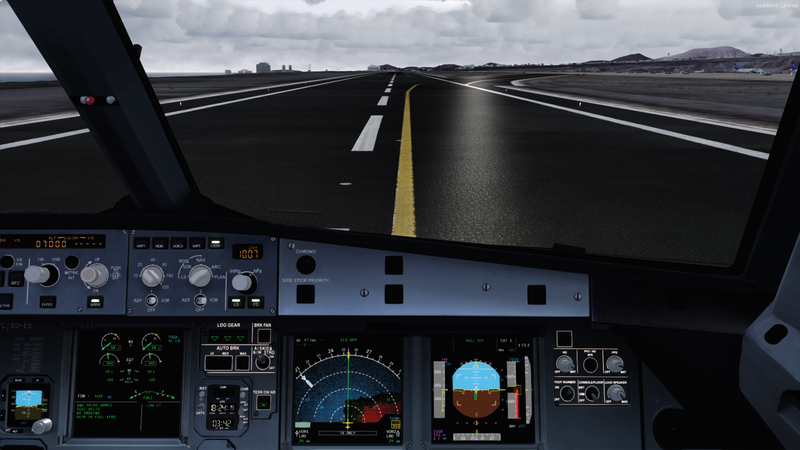 I am sure that piracy is as prolific in flight sim software as in other fields, only difference being we are a relatively small community and that theft can cut very deep into developers finances, even jeopardising their very survival. I think he took a wrong course of action in the way he went on the offensive and I don't doubt the publicity will have a lasting effect. With so few really good study level aircraft available we really don't want to hang, draw and quarter at the first opportunity. if, however, another piece of intrusive software came to light at some future date then that would be the end of it. But yea, give him the benefit of the doubt. Mistakes and errors of judgement happen. No I purchased after the whole debacle, but was reading up the product as it all unfolded - must admit although it didn't look great, and a lot of angry people spoke out on the FSL forum, I wasn't too put off - mainly because the installer changed, and also because even with my bank details, they wouldn't get you very far! 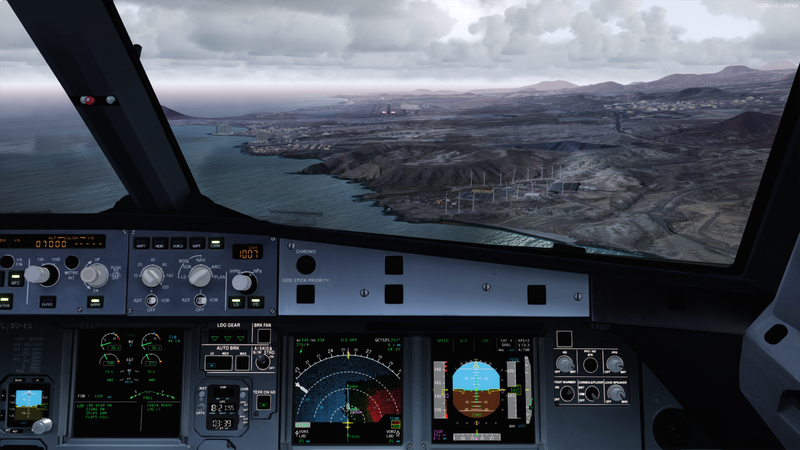 On top of that, rumours are that the next FSL product will be the A330 series - something which I personally think has lacked hugely in FS, or at least in P3D - that being said, there aren't any good A380 or A350 examples out there either - I'd love to add an A380 to my collection!